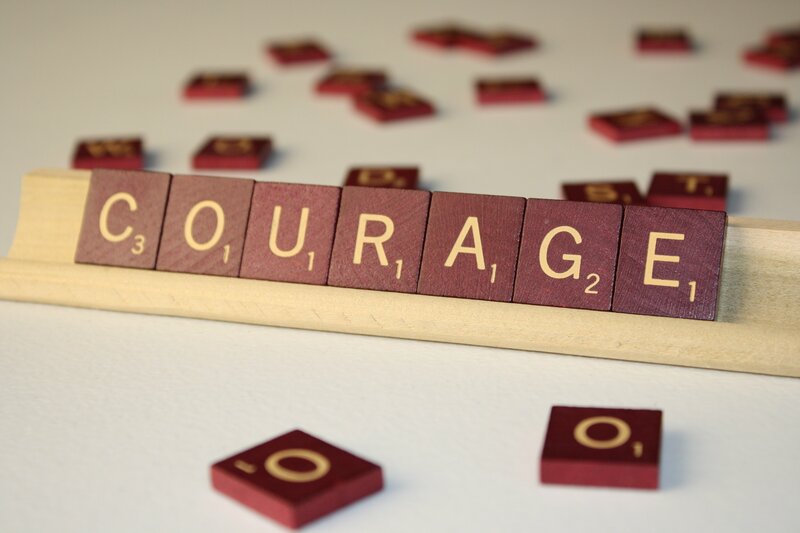 #Courageous~~What Are You Called To Be? I think it’s fair to say just about everyone knows the story of the cowardly lion from the movie The Wizard of Oz. Of course there are lots of characters from that movie, but, since I’m talking about courage, I’ll focus on the cowardly lion. What I loved about the cowardly lion, is he was courageous all along, but it took a friend being in need for that courage to rise up inside. Plain and simple, in the short amount of time the cowardly lion knew Dorothy, he knew he loved her and would do whatever it took to save her. He pushed aside his fear, and he let love rise up inside. It was so overpowering, it enabled him to forget the danger he was in. Love is a powerful motivator. God sent His only son to save us because of love. Talk about some serious love!! In Matthew 22: 37-39 “Jesus replied: “‘Love the Lord your God with all your heart and with all your soul and with all your mind.’ This is the first and greatest commandment. And the second is like it: ‘Love your neighbor as yourself.” To love another above yourself takes great courage. But when we don’t have love, or we have been hurt by love, life takes on a whole new dimension. If you’ve been abused, in a bad relationship, been surrounded by dysfunction, then you know in order to keep on loving, to keep on giving of yourself takes great courage. It takes courage to put yourself “out there” again. It takes courage to allow someone in. It takes courage to tell the truth when you want to lie. It takes courage to love someone not like you. It takes courage to help someone in need. It takes courage to be vulnerable. It takes courage to be needy. It takes courage to put your own selfish desires behind another’s needs. It takes courage to be a follower of Christ. When I was a person of this world, I followed the flow, I complained about what’s wrong, but rarely did anything to change it. I thought money would solve all my problems. I thought all my material possessions would make me happy. I thought it would be really great if someone, especially those rich celebrities would just shut-up already and feed the poor with their gazillion dollars and stop interrupting my awesome tv programs with their worthless commercials. I thought it would be great if someone else did the stuff I might be called to do, because then I could go on living my complacent and oh so comfortable life. But that’s not my purpose; that’s not why I was created. God calls us to be not of this world. He calls us to be the light and to be bold and courageous; to not have fear and to not be intimidated. On my own, I could maybe do some of what He calls me to do, but eventually I would run out of my human strength and I will need to seek Him out for His strength, wisdom and truth. Every day, I fail. So every day, I get back up, I pray, and I persevere. I could choose to go back to my life before Christ, but I know that road and that life led me to a pit I never want to revisit. So, with courage, even though I know I will fail, I keep going. And I’m totally cool with that, because I know no matter my performance God loves me. He knows my heart and He sees me trying and He’s cheering me on. He is love wrapped up in a gift, given to me no matter where I am. Like that quote says, “I can’t brag about my love for God because I fail Him daily, but I can brag about His love for me because it never fails.” (unknown) I am called to be courageous because I choose to follow Christ. What are you called to be? Thanks for sharing. Your post really hit home. Your words are true that it takes a lot to love another above ourselves. But we can do all things through Christ who strengthens us.